Born in Klipspruit, Soweto Johannesburg South Africa, Simphiwe Ngema is a South African actress, singer, MC, presenter, and a choreographer. She has two sisters, an elder and a younger one. She studied Journalism at Boston Media House. She was born on the 29th of August 1989 in Klipspruit, Soweto Johannesburg South Africa. As of 2018, she is 29 years old. Simphiwe got married to her hubby (Dumi Masilela) in May 2017 in a traditional wedding ceremony. Here are some pictures of the ceremony. She lost her husband during an attempted hijacking where he was shot, and he died on August 2, 2017. Dumi and Simphiwe dated for three and a half years before he proposed and had been married for two months when he passed on. Simhiwe Ngema was rumored to be pregnant, however, the family of late Rhythm City actor and musician Dumi Masilela has denied reports that their son’s widow, Simphiwe, is pregnant. A fake news report claimed Simphiwe had been 10-weeks pregnant when her husband died. It’s been a year since Rhythm City actor Dumi Masilela died in an attempted hijacking in Tembisa, Johannesburg. 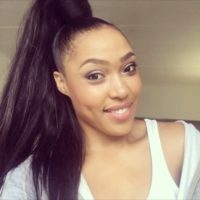 The actor was reported to have been sitting inside a Golf 7 when he was shot only a few short months after marrying sweetheart Simphiwe Ngema. Now, having completed the traditional process of mourning for a year, Simphiwe has shared that it’s time she lets go of her wedding ring. Speaking about the ring in a social media post, Simphiwe said: “We have a love-hate relationship, sometimes I look at you and I smile. Sometimes I look at you and my heart bleeds.